This week marks the beginning of Hispanic Heritage month. I always love when this month comes around, because it is a time to celebrate the major cultural contributions made by people of Hispanic origin. This week I will start by exploring three of my favorite artists of different media. Ruben Toledo and Isabel Tuledo, both of Cuban heritage, are a fashion and art prolific power couple. Ruben is an illustrator who works often in the arena of fashion. His illustrations have been featured in major ad campaigns including Nordstrom and Vogue. He has collaborated with mega brands like Louis Vuitton to create illustrations for lookbooks and ad materials. Ruben has also illustrated book covers and installations for his wife's designs. Ruben talks about his love for NY and his inspiration in this L. Vuitton produced video. Isabel is a designer of womenswear. She creates gorgeous tailored pieces, as well as whimsical designs. Isabel is also a native of Cuba. She emigrated to NJ in high school, and went on to attend both FIT and Parsons. Isabel created her namesake line in 1985, and has been going strong ever since. Michele Obama selected Isabel's design to wear to the first inauguration. Isabel is also the recipient of the Cooper-Hewitt National Design Award (along with Ruben), as well as the Otis Critic's Award. Hispanics have also contributed greatly in the field of literature. 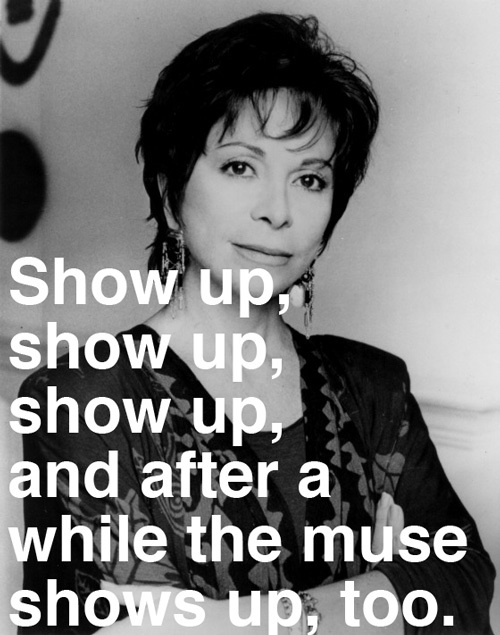 My favorite author is Isabel Allende. In 1982, Allende published the House of Spirits, a lyrical ode to her grandfather. This book is so poetic, and established Allende as a reckoning force in the male-dominated Latin American author arena. Since then, she has written countless works of magical realism and non-fiction. Her style weaves together a sense of the mystic with historical events of different eras, including guerrilla warfare in Venezuala, the migration of Latinos to California during the Gold Rush, and the revolution in Haiti. A native to Chile, Isabel is wonderful at capturing the voice and sentiment of Hispanic people across Latin America. Another element of Allende that I adore is her involvement in the social justice movement. Many of her books are set in Latin America nations living under regimes. Isabel has a way of expressing the terror and frustration of this life that is so poignant. It is in her personal experiences and in her research for these very books that Isabel decided to start her own foundation, the Isabel Allende Foundation. Please read about its beginnings here. She was able to turn tragedy into triumph in a way that can be inspirational to all. See you next week for more celebration of Hispanic Heritage Month!